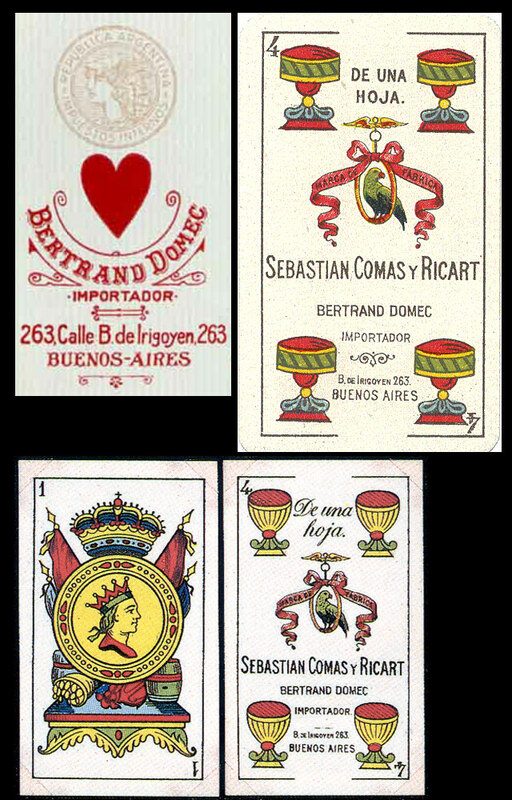 Bertrand Domec was an importer and distributor of playing cards into Argentina. The business was first established in around 1904 as successors to Pedro Desparbez. Over the years the name and address of the company changed so that the development of the business can be traced. 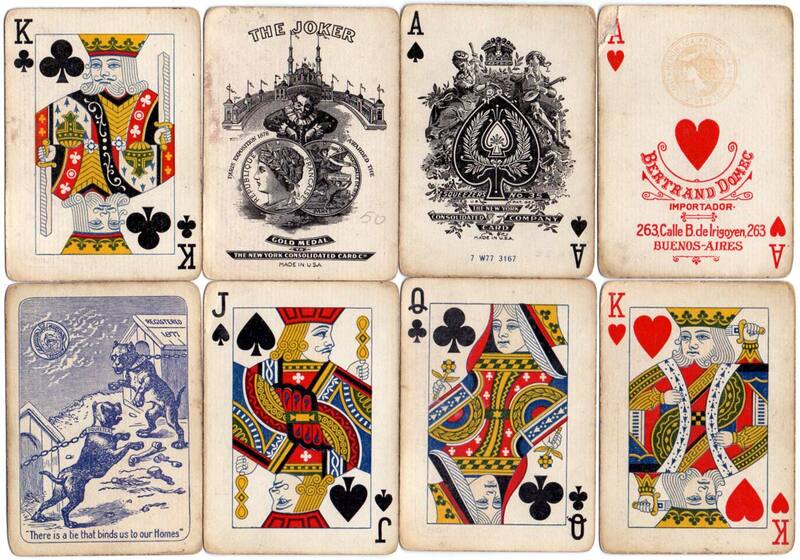 Above: cards of various styles imported by Bertrand Domec, Importador from USA and Spain, whilst the address was Calle Bernardo de Irigoyen 263, Buenos Aires, corresponding to the period c.1905-1926. 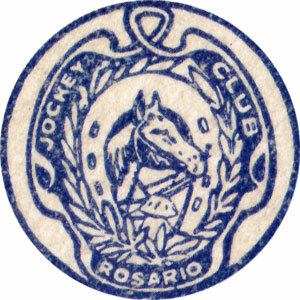 Above & left: No.35 Squeezers issued by NYCCC in c.1916 for the Jockey Club, Rosario, Argentina. The ace of hearts has Bertrand Domec’s details along with the Mercury importation tax stamp. The smiling sun face on the reverse has been changed to a Jockey Club logo (see enlargement left) so this was a specially commissioned edition not sold elsewhere. 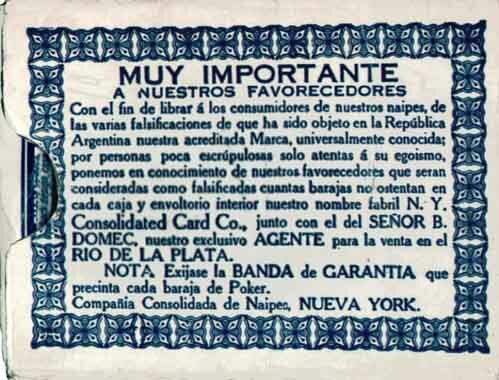 Above: NYCCC No.35 Squeezers box referring to Bertrand Domec as their exclusive agent in the River Plate region, c.1927.